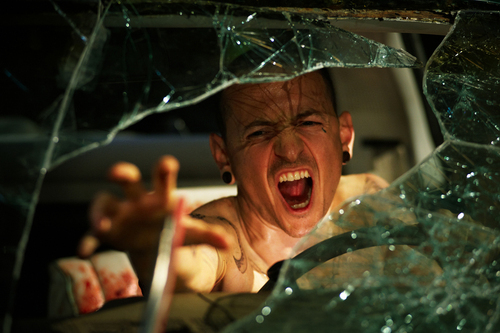 Chester Bennington in Saw 3D. . HD Wallpaper and background images in the sinema ya kutisha club tagged: horror movies 2010 saw 7 saw 3d chester bennington promos stills. This sinema ya kutisha photo might contain mwavuli, sunshade, and parasol.